Spray a large baking dish. Prepare KNORR rice mix as directed. 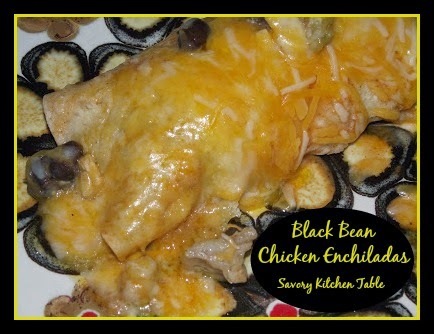 In a large bowl combine chicken pieces, black beans, green chiles, rice and 1/3 of the cheese. Spread sour cream on each tortilla. Add a scoop of the chicken mixture. Layer in baking dish seam side down. When baking dish is full, evenly pour the enchilada sauce over the enchilads. Sprinkle cheese evenly over all enchiladas.